L. Ron Hubbard strips away centuries of confusion and mystery accrued around the age-old question, “What is truth?” Given that nothing in the field of human philosophy even approaches the depth of understanding in this one lecture, its wisdom is intimately relevant to the life, future and eternity of all people. Here, then, is Mr. Hubbard’s incomparable lecture on truth: where it will be found, where it will not be found and how the road that leads there is at last open for anyone to travel. For countless thousands of years, philosophers, prophets, scientists and many others have ventured on the road to truth. Yet until L. Ron Hubbard researched, discovered and mapped the full anatomy of the mind, spirit and life, none had ever walked that road to its end. This renowned lecture stands as an immortal and definitive statement on a subject that has fascinated and baffled Man since the very dawn of thought. Herein Mr. Hubbard strips away centuries of confusion and mystery accrued around the age-old question, “What is truth?” And given that nothing in the field of human philosophy even approaches the depth of understanding in this one lecture, its wisdom is intimately relevant to the life, future and eternity of all people. For not only philosophers, prophets and scientists, but every human being has already set out on the road to truth: the artist, the storeowner, the engineer, the politician, the baker. And the only liability they face lies in their possible failure to walk that road all the way. 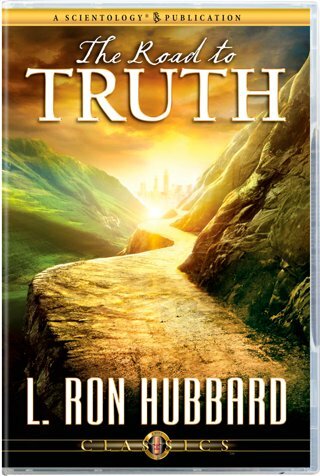 Here, then, is L. Ron Hubbard’s incomparable lecture on truth: where it will be found, where it will not be found and how, through auditing and training, the road that leads there is at last open for anyone to travel.